I thought I knew how to pray. I’d grown up in church. I knew the Lord’s Prayer and said my bedtime prayers. Yet, even though I was well into adulthood, I didn’t feel like I truly knew how to pray. I wasn’t comfortable saying prayers on my own. I guess I’d missed the “how to pray for beginners” class somewhere along the way. I listened to others pray and wondered where they found such perfect words. I wondered how they learned how to pray with such poise and power. My own prayers sounded so childish and tentative. I wasn’t sure how to start, what to say, or how to close with something other than a rushed amen. Whether you’re a new Christian or long-time believer who’s just never really figured out prayer, let’s get started today. The best way to learn how to pray is to simply get started. The more you pray, the more comfortable and confident you’ll become. Study how to pray, listen to how others pray, and use templates and scripture to guide your words. Enter the conversation with God and let him lead you in learning to pray. Prayer doesn’t need to be complicated, fancy, or formal. Don’t worry about getting the words right or sounding as practiced or poetic as the prayers you hear in church. God wants to meet you where you are. God values your presence more than your polished words. At its core, prayer is simply a conversation with God. How would you greet a friend? What would you share about your day? What needs or concerns would you share with your friend? Start here in your conversation with God and let your relationship develop as you begin to deepen your prayers. Prayer isn’t meant just for Sundays or only in your hour of greatest need. Prayer is meant to be woven into the fabric of your daily life. Pray in the morning when you wake – give thanks to God for the day and pray over the day ahead. Pray throughout your day – ask God for guidance on decisions, ask forgiveness when you fall short, pray for the people you meet. Pray at the end of the day – review your day with God, give thanks for the blessings of the day, ask for God’s help where you’re facing trials. The more you pray, the more comfortable you’ll become with prayer. Develop a habit of praying daily and let God begin his work in your heart. Approach prayer with a willing and open heart. Prayer is where your relationship with God is formed and your faith forged. God will use your time together to mold and shape your heart – but only when your heart is open and willing. If you’re not sure what to say in prayer, use the Lord’s Prayer as your guide. While this is also a great prayer to memorize and call upon in those times when you have no other words, it’s also a template Jesus gave for how we should pray and what topics we should cover. The Lord’s Prayer is more than a memory verse. It’s your template for how to pray. Prayer is not just a one-way conversation, although it often feels that way. Allow time and space in your prayers to listen for God. He will respond to your prayers, so wait and listen expectantly. Prayer is meant to be a two-way conversation, so listen for God’s response. You may not hear a response every time and those responses may take a variety of forms, but the more you pray and the more you listen, the more you’ll recognize his responses. Use these printable worksheets to write your own prayers, using the Lord's Prayer as a template. Perfect if you don't know what to pray or if you want to take your prayers further. Learn to pray as Jesus taught, using the Lord's Prayer as your template. 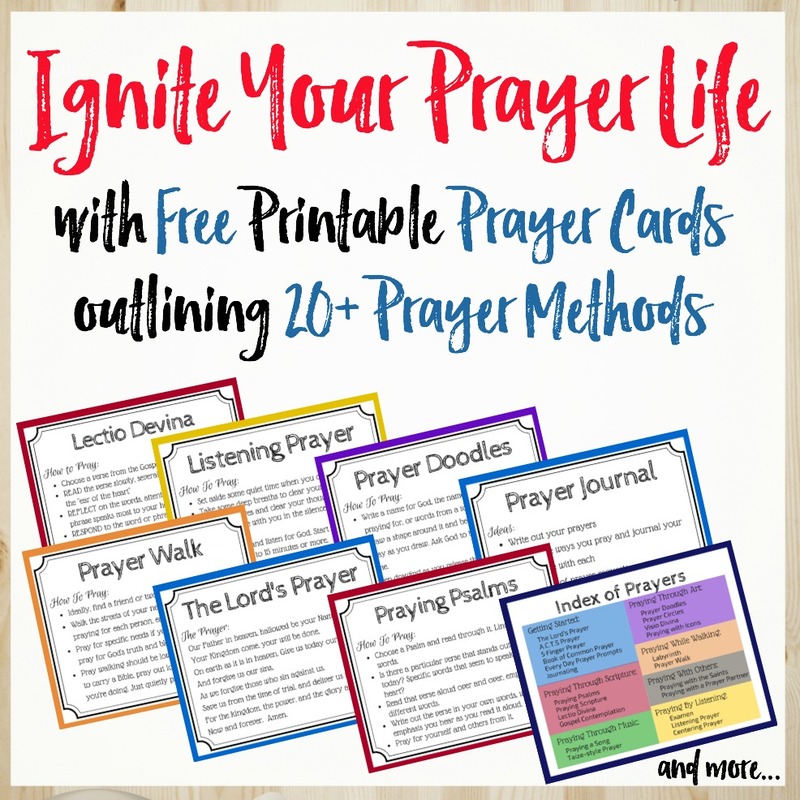 These printable worksheets are one of the perks of joining our online prayer community. By submitting your email address, you'll join our weekly 'Prayer & Possibilities' newsletter with encouragment and prayers for your faith journey. Are You Ready to Open God’s Gift of Prayer? Prayer is God’s greatest gift to you – the gift of a personal relationship with the God of the universe, the gift of his presence any time you need him, the gift of his willing ear to listen and willing heart to answer. Have you fully accepted and put to use God’s great gift of prayer? Have you opened it, but aren’t quite sure how to make it purposeful and powerful for your life? Explore this gift of prayer through 5 days of FREE email-delivered devotionals, with reflections and prayer prompts. Click here to sign up and get started today. Rediscover the greatest gift you already have! Ms. Shirley, I recently downloaded your 40 Days of The Lird’s prayer. I lost the Bible Study of it. I would like to know if you could resend it to me. I would deeply appreciate you.